Biochemists at the University of California San Diego have uncovered patterns in the outer protein coat of group A Streptococcus that could finally lead to a vaccine against this highly infectious bacteria—responsible for more than 500,000 deaths a year, including toxic shock syndrome and necrotizing fasciitis or "flesh-eating disease." "The idea now is to have antibodies do the same thing as C4BP—that is, recognize many different M protein types," he added. 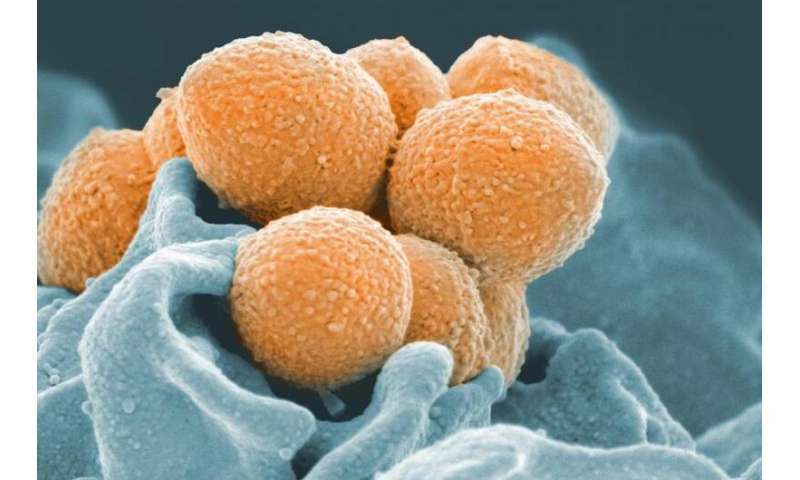 "That way, the antibody response will not be limited to one M protein type and one strain of group A Strep, but will extend to most, if not all, M protein types and most, if not all strains, of group A Strep."